Everyone can agree that pizza is the best night-cap after an evening of celebrating with friends and toasting champagne. After all the celebratory drinks, your stomach will be begging for our pizza and what better way to bring in the new year than with a delicious slice of our buttery crusted pizza? Dont forget the sides! 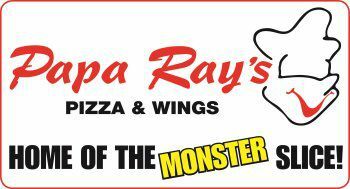 At Papa Ray's Pizza and Wings, we offer a variety of menu items that will make your mouth water! If you haven't tried our food yet, do yourself a favor and end your year full of flavor. If you dont feel like picking up the phone, order online! This Logan Square pizzeria has four convenient locations throughout Chicago and the quality of our food is impeccable. So hurry! Order now and end your year with a happy stomach. Cheers to another great year with great Chicago pizza.